It's a skill-based game that makes you experience the thrill of what a high-profile captain or a coach would go through before playing every match - a real test of your cricketing management skills, your knowledge and understanding of player strengths and weaknesses and various factors affecting the game. You will have to select a team of, mostly, 11 players from the fixtures allotted and compete with your friends, users from all over the world and, sometimes, celebrities as well. Winners get exciting cash prizes! What's better than earning through playing games eh? Draft is one of the many formats of fantasy cricket, and it's the most popular in USA. Thanks to Cricbattle, it's soon picking up in India as well. In this format, no two teams in a league can have the same player, ie., the players that you manage to get through the draft process represent your team only, which is what makes it the most exciting. There is an added challenge of trading player market as well. It is believed that this will become the future of fantasy games world over very soon. Why not be an early bird? Join us straightaway. 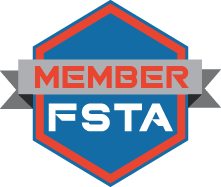 Select your preferred draft time range, T1 or T2 and join either H2H or TPB leagues. Once the public league is full, you will be notified via email. You will have fixed amount of time (example 24 hours) to complete pre-draft selection process. Team managers are supposed to join at system-defined time to play "Online Draft" If no users are online, system will perform "Auto Draft" to draft players for the teams. Click on “Play Private League” tab, enter Invitation code and team name to join private league. Don’t worry if you do not have any code, you can join the private leagues open to the public. League manager co-ordinates the timing of playing online/offline draft for private leagues. Click on “Play Private League” tab. Enter the League name, your team name, select the type of draft you want (Online/Offline draft) and select the fantasy type (Point based/Head-to-Head). The manager who creates a League becomes the League Manager (LM). Our system will generate a unique code that you can share with your friends while inviting them to join your League.League manager co-ordinates the timing of playing online/offline draft for private leagues. A draft is a process used to allocate certain players to teams. In a draft, teams take turns selecting from a pool of eligible players. When a Team Manager selects a player, the team receives exclusive rights to play that player for that team, and no other team in the league can have that player. What is a draft sequence? The order generated by system to select players during draft is called draft sequence.Whenever a team joins the league, draft sequence is generated by the system. What is a pre-draft selection? Why do I need to do it? A pre-draft selection process allows you define your preference for selecting players during online/auto draft. It is recommended that all team managers complete their pre-draft selection as soon as they create/join team, especially when they are not sure of being available for draft. This will work as a cheat sheet for you (showing your preferences of players) during live online draft. When you are offline, the system will use your preferences to draft available players. What is an online draft? It is a process through which all teams in a league meet online to pick players for a round/tournament. 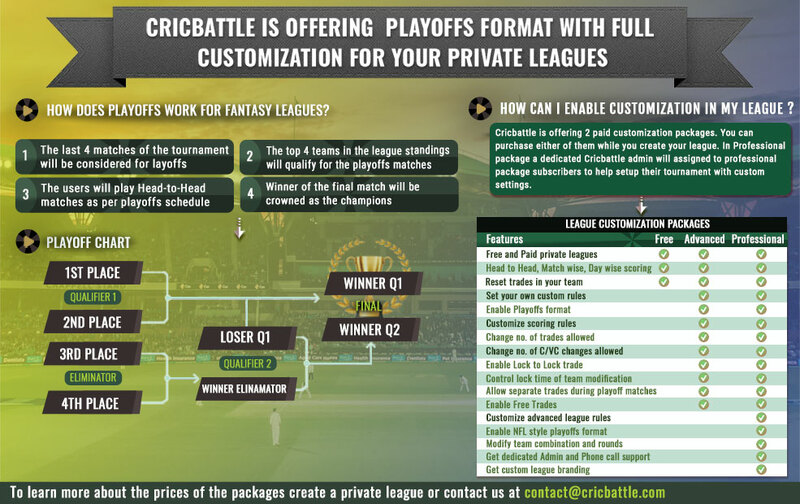 CricBattle is proud to be the only one in the Cricket World to offer online draft on Cricket Fantasy platform! For public leagues, Cricbattle finalises the draft time after a league gets filled. For private leagues, league manager can set draft time and change it later if he wants to. Team Managers should plan on arriving at least 10 minutes prior to the scheduled time. Only League Manager can start, pause or resume a draft. Each team gets 2 minutes to pick player during its turn. When it is your turn, the "Draft" button will become active (colour changes to green) After selection of a player, the "Draft" button will be locked (grayed out). If you can't be available for draft or miss out on picking a player due to some reasson, the system picks the best available player for you automatically based on your pre-draft sequence. You need to meet the minimum criteria first before moving on to the bench players section. What is an offline draft? It is a process through which all teams in a league meet offline to pick players for a round/tournament - it could be anywhere, be it in your home or a public place. You can use the draft sequence generated by Cricbattle and complete your player selection process. Once it is done, the league manager can then update the player list on the system. This process is best advisable for friends or people who can get together. Trust us, it's super fun! All team managers get together in a room and start drafting player one by one in an order indicated by draft sequence. It is up to the league manager to decide if there is a time constraint for everyone to pick a player or not. Depending on the tournament, the league manager must make sure that all team managers follow the rules to pick the right combination of players. League manager notes down each team's selections on piece of paper or wherever comfortable for him. After completion of offline draft, the League Manager then enters all the picks for the teams on the League page using the Offline Draft option. The League Manager must hit the save button after selecting players for each team. After submitting all teams, the League Manager must hit "Complete the Offline Draft" button to assign players to each team. Lock time depends on the settings of the league rule. Generally it is either at match time or 30 mins before the match time. In case of match time locking you can make changes till the match starts, otherwise you need to submit the team before deadline as per league settings. In H2H, players get locked stage by stage, depending on the matches. If Pakistan vs Sri Lanka is the first fixture of the round, the corresponding players will be locked first, and they will remain locked till the end of the round. And so on. In TPB, by default you can change captain and vice-captain for each match. It is called Match wise update. In TPB, private league manager can choose to disable Match wise update. In that case you need to select your captain and vice-captain once in a day, and that selection will last the entire duration of the day irrespective of the number of matches. This is called Day wise update. How do team changes work when there are more than 1 matches in a day? In TPB, by default you can change teams for each match even if there are more than 1 matches in a day. It is called Match wise update. In TPB, private league manager can choose to disable Match wise update. In that case you need to select your team comprising players from all the matches in a day. This is called Day wise update. So even if you have 2 or more matches on a day, you can have only one team per day. In H2H, irrespective of the number of matches a round consists of, you can have only one team for the entire round. If Pakistan vs Sri Lanka is the first fixture of the round, the corresponding players will be locked first, and they will remain locked till the end of the round. And so on. You can change the unlocked players at any point of time. What's the purpose of Trade and Claim features? Its true that the team that you manage to get through drafting more or less decides how you will fair in a tournament. But don't underestimate the power of trading/claiming. A couple of good, timely trades/claims can make a substantial difference to the league standings, so always keep an eye on the players available for trade/claim. How many trades can I do? It varies according to the round/tournament you play. You can see the number of trades available on the manage team page. For public leagues, Cricbattle finalises the number of trades. For private leagues, league manager/creator can decide on the number of trades he wants to have for his/her league. How many claims can I do? The claims that you do gets deducted from the number of trades available for a round/tournament. So, manage accordingly. So, when does the condition for lock come in? The player has been introduced midway through the tournament, as it happens in cases of injuries to existing players. In all these 3 cases, if players are directly made eligible for trading, users who are online either accidentally or as a result of having too much free time on their hands, stand a great chance to grab them, which in turn affects those who can't devote as much time to the game. To eliminate this scenario and to be fair for all, we have introduced the claim feature. All such players come with a 24-hour lock. Fine, explain me the claim process. From your bench, move out the player (s) you want to drop. Look at the available claim player section and finalise on the players you need. Set your claim preference order: your first preference should be at the first spot. Wait for the claim process to take place to know the results. Trade is simple. You can go to the trade player page and trade in/out unlocked players any time. What is inter team trade? By this feature you can trade players between other team managers. From the inter team trade page you can send trade request to a team manager of your league. Depending upon the settings of your league, the League manager can approve or reject the trade request. 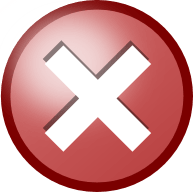 No Result : Players will be awarded for points in tournament league, while players will NOT be awarded points in daily/weekly leauges. Manage Team TPB, H2H Team composition rule, Team Players -Bench Players-Players traded out & their "total" scores Set match orders - pick C, VC and finalise playing XI for every match. Pre-Draft Selection TPB, H2H Pre-select your players prior to draft - Your cheat-sheet with your selection of players!! Trade Players TPB, H2H Trade players between your "Bench Players" & "Available Players Pool"
Claim Players TPB,H2H Claim locked players from "Available Players Pool"
What is the Playoff feature? By enabling playoffs feature you can experience IPL style playoffs format in the knockout stage. For example in IPL there are 60 matches. If Playoff is enabled in your league, then top 4 teams in league standings after 56th match, will play 57, 58, 59, 60 matches. Other teams will be eliminated. It will be IPL style playoff including the Qualifiers, Eliminator and Final. You will see a menu called as Playoff in your league menu. From where you can access all the stages of playoff round. What happens during the Playoffs round? After the league stage is completed the playoff schedule is generated and the Team managers are decided for Qualifier1 and Eliminator match. In each stage of the playoff schedule you will have to play draft with your opponent to create a new team comprising the players who are playing at that stage. For example if Qualifier 1 is being played between Delhi vs Chennai. Then the Team Managers who qualified for Qualifier 1 will have to play draft to create their team by selecting players playing in the Chennai vs Delhi match.